Would be nicer if she were smiling, but still a very pretty photo! I love her trousers! 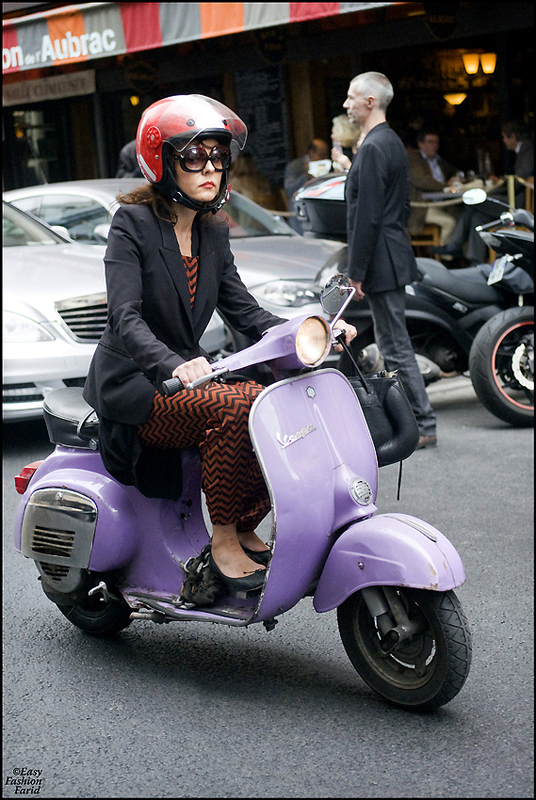 I love that purple vespa!!!! !